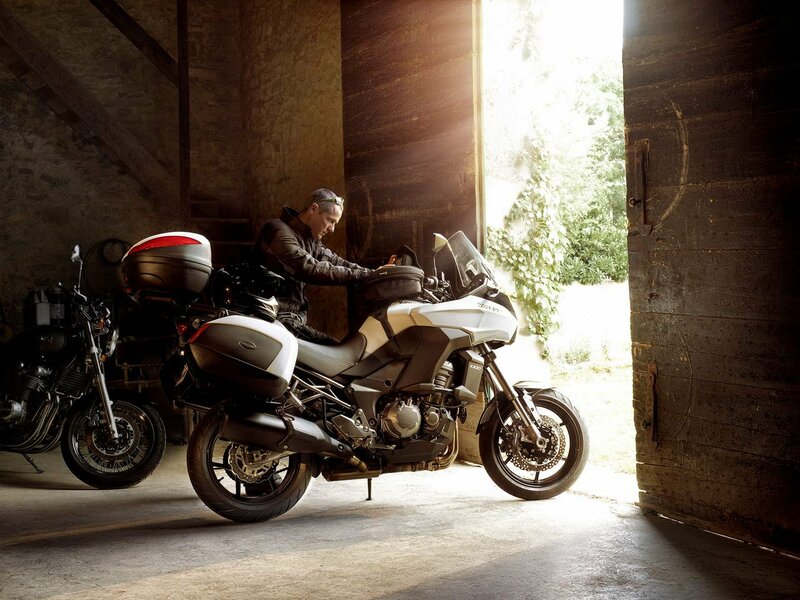 Giving the original Kawasaki Versys a bigger sibling, the 2012 Kawasaki Versys 1000 brings liter bike capacity to Kawasaki’s adventure-sport offering. Based around the 1,043cc inline-four motor from the Z1000, Kawasaki has “tuned” the Versys 1000 for smoother power delivery and throttle response, rather than just outright peak power. Accordingly then, the Kawasaki Versys 1000 gets a modest peak horsepower rating of 116hp, while making 75 lbs•ft of torque. While it is disappointing to see such a low peak horsepower figure, it should be pointed out that the Versys makes more power and torque in the lower part of the rev-range than its sport-naked counterpart, which should also suit the intended purpose of the 2012 Kawasaki Versys 1000 a bit better. 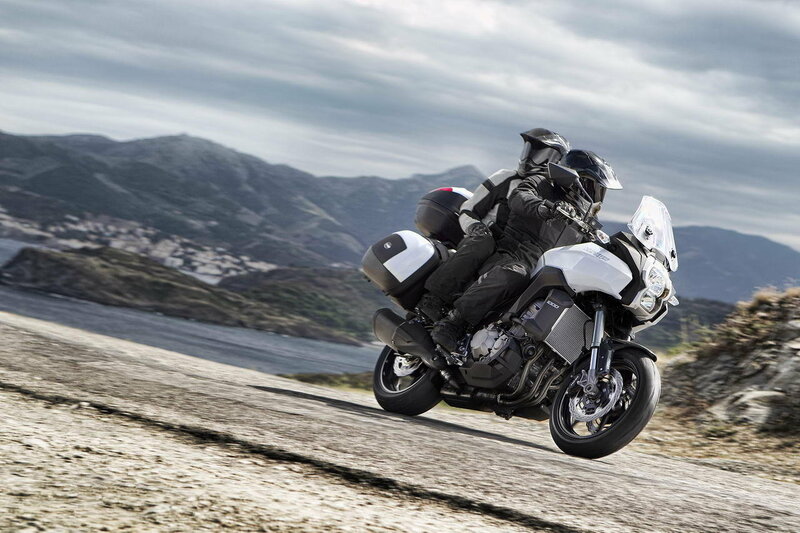 Packaged into a 527 lbs curb-side mass, the Versys 1000 certainly isn’t the lightest bike on the block, though it does rate as being more svelte than the newly released 2012 Honda Crosstourer, which will tip the scales at over 600 lbs with the DCT configuration. 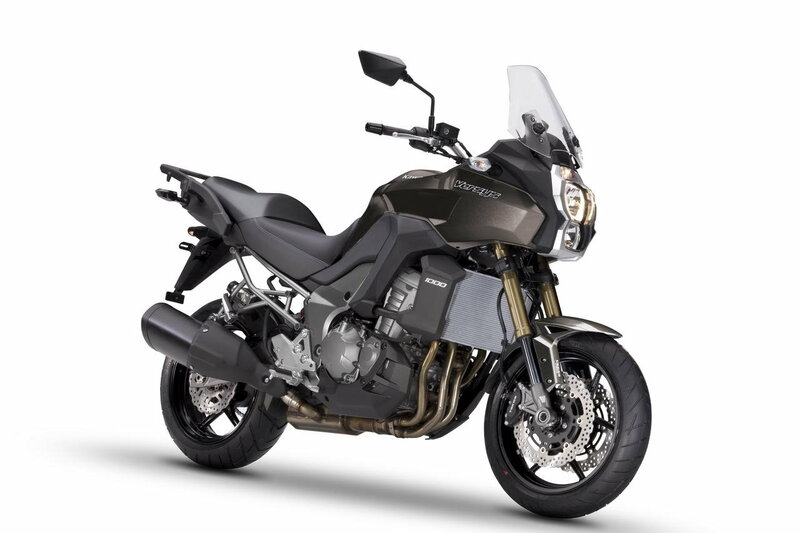 With 17″ wheels, Kawasaki is making no overtures about the Versys 1000 being a street-going machine, and while the Kawasaki Versys 1000 is ready for touring duty, the Japanese company is touting the bike’s sport appeal with its “adventure-sport” segment nomenclature. 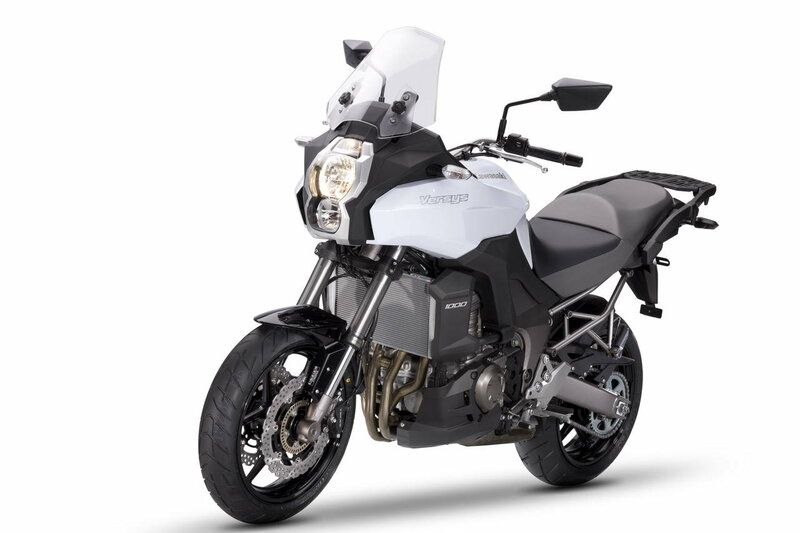 As we noted with the Honda Crosstourer, Japanese companies are clearly coming at the adventure-style market with different approaches, along with varying degrees of on & off-street ability in each model. 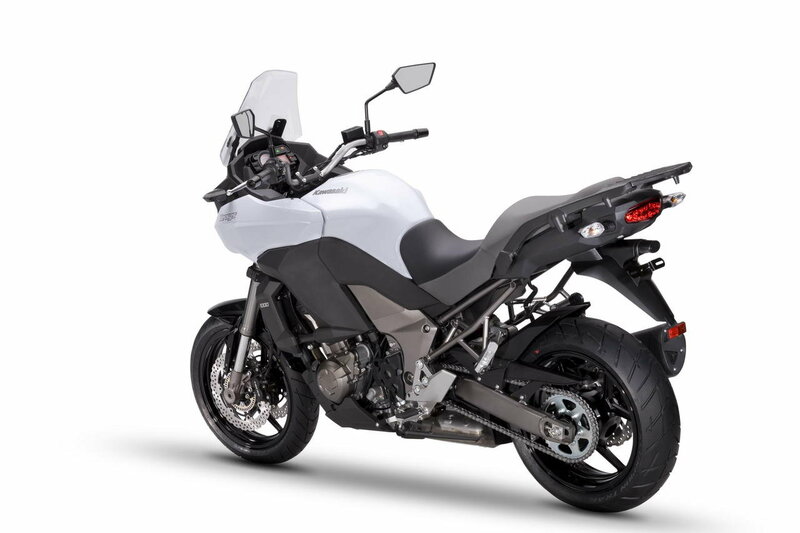 Going up against the Yamaha Super Ténéré, Honda Crosstourer, and Suzuki V-Strom, the 2012 Kawasaki Versys 1000 has some stiff competition to contend with from its Japanese counterparts. Hoping to help differentiate the Versys 1000 from its competition, Kawasaki has tried to pack several key features into the otherwise vanilla machine. 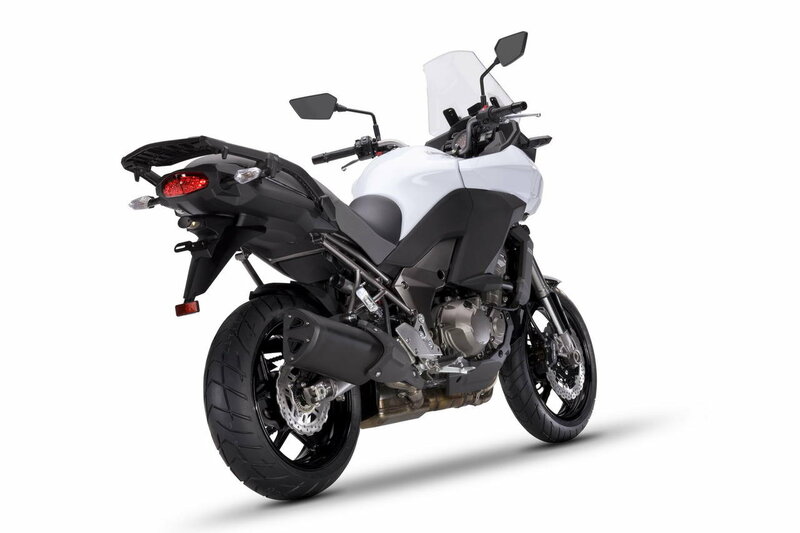 The repurposed Z1000 engine gets several tools to better suit the four-cylinder motor to its new task, and the first of which is the power mode selector. 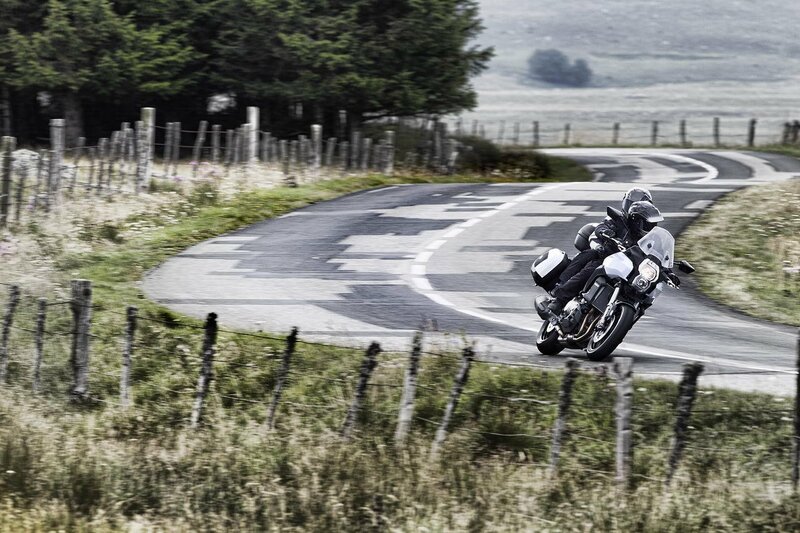 Enabling riders to choose from full or 75% power, the Versys 1000 incorporates a more basic form of the now ubiquitous user-selectable riding mode module, which creates a milder throttle response when applied. 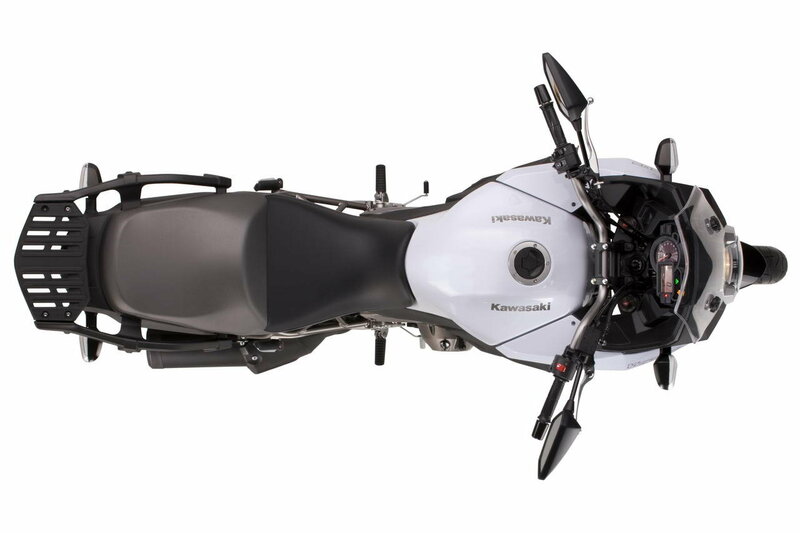 The 2012 Kawasaki Versys 1000 also features a new version of Kawasaki’s KTRC traction control system, and has a three-level traction control setup that is a combination of the KTRC found on the Kawasaki ZX-14R and the S-KTRC found on the Kawasaki ZX-10R. 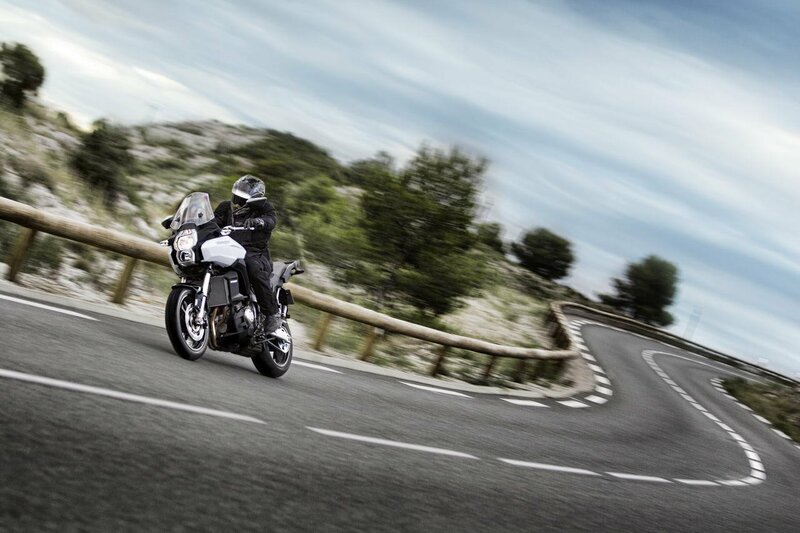 Also coming standard on the Versys 1000 are anti-lock brakes (300mm front, 250mm rear), as Kawasaki continues the industry-wide trend to incorporate the ABS braking technology on its motorcycles. Suspension is fairly basic, with the revised 43mm KYB forks having only adjustable pre-load and rebound damping. The rear back-link shock also only features pre-load and rebound damping adjustment. While the rest of the 2012 Kawasaki Versys 1000 is fairly straight-forward and basic in the rest of its description, the one remaining feature that does strike us as interesting is the Economical Riding Indicator, which uses bio-feedback, via an indicator on the dash, to help riders conserve fuel by noting when they are riding favorably for fuel consumption. 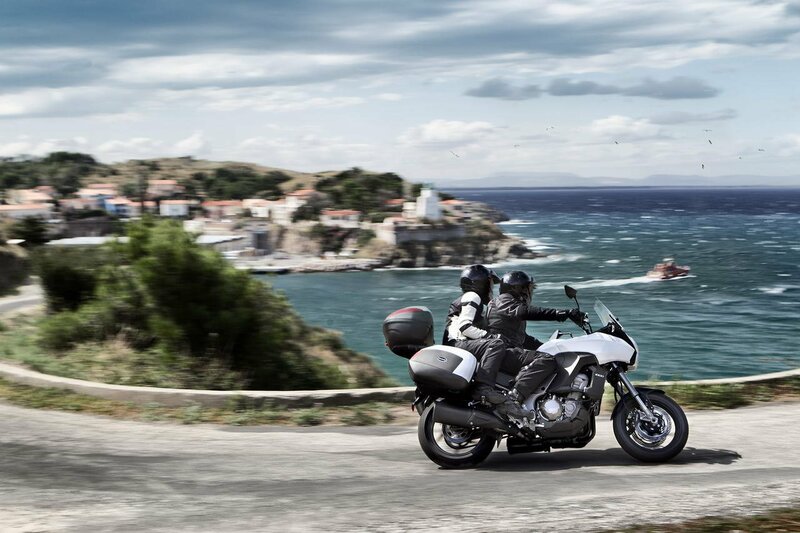 Like most of the Japanese adventure offerings, the 2012 Kawasaki Versys 1000 doesn’t revolutionize the marketplace (with maybe exception being given to Honda for its DCT option), but it does promise to bring an honest get-you-there motorcycle. 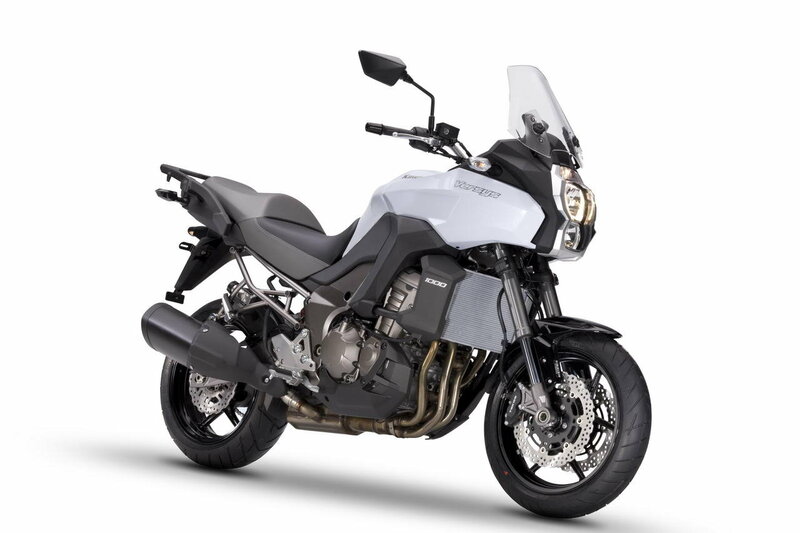 While pricing hasn’t been released in the US yet, we imagine on that point the Kawasaki Versys 1000 will shine for consumers as a bang-for-the-buck adventure-sport offering, that is of course if they can get over the radiator-mounting job that’s going on here.